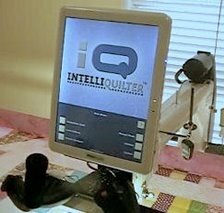 IntelliQuilter Training Videos: Working with a "Pictogram" pattern. Working with a "Pictogram" pattern. One of my customers needed help with this type of pantograph. You can find these types of patterns at Judy Lyon's website of http://www.meadowlyon.com.